First Christian Church (Disciples of Christ), is one of more than 3500 congregations in the Christian Church (Disciples of Christ) in the United States and Canada. Within Missouri, which is the Mid-America Region, we are one of some 250 communities of faith. The Christian Church (Disciples of Christ) is the oldest Protestant denomination founded on American soil and dates back to the early 1800’s. Of its major tenets of belief include: baptism by immersion or “Believer’s Baptism,” weekly observance of the Lord’s Supper, and congregational in structure. 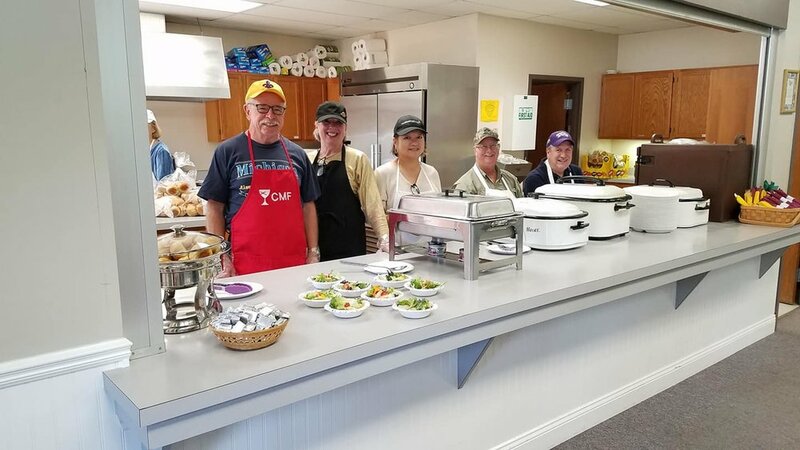 First Christian Church (Disciples of Christ) of Troy, MO is an active, caring, and growing congregation dedicated to serving our Lord Jesus Christ. It is our mission to make the Gospel a living reality in our everyday life and to share the love of Christ, not only through our work in the congregation, but in our daily lives as well. We currently hold two Sunday morning worship services and Sunday School. A traditional worship service begins at 8:30 a.m. followed by Sunday School at 9:30 am. Sunday School features classes for all ages from Preschool through High School as well as three adult classes. Nursery care is also available. A contemporary worship service begins at 10:45 am. Our congregation provides all members with many opportunities for spiritual and personal growth through a variety of church programs, activities and groups.